Rob has been CEO since December 2016, prior to which he was Deputy CEO and General Manager Insurance at ReturnToWorkSA. He has more than 30 years' workers compensation and workplace rehabilitation experience. Prior to joining ReturnToWorkSA in early 2013, Rob was Executive Manager at the Queensland workers compensation regulator, Q-COMP, for nine years. Julia joined ReturnToWorkSA in 2011. She currently leads the government relations, insurer regulation, enforcement, scheme support and premiums functions. Julia previously held positions as General Manager Regulation and General Manager Corporate Services at ReturnToWorkSA and was formerly Executive General Manager Business Services at Alinta Energy in South Australia. Des joined ReturnToWorkSA in 2013. 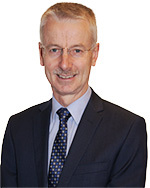 He has more than 25 years’ experience in general insurance across a number of finance, management and company secretarial positions. At ReturnToWorkSA, Des is responsible for governance and risk, financial reporting and control and investments. Des was previously Chief Financial Officer and Company Secretary at Elders Insurance and Financial Controller for CGU Insurance in Melbourne. Kerryn joined ReturnToWorkSA in 2012 and has been leading the Technology Systems and Service team since April 2016. She is responsible for infrastructure, database and cyber security services, application development and support, business intelligence, records management and service delivery. 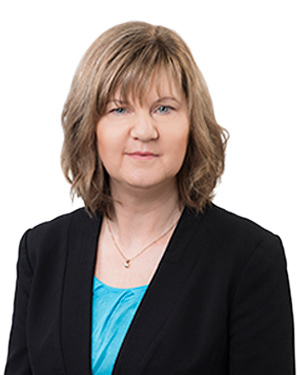 Kerryn has 25 years of experience in leadership roles in the health care, utilities and insurance industries. Jas joined ReturnToWorkSA in 2010. She has 20 years’ experience in senior human resources roles across the defense, R&D and tertiary education sectors. Jas is responsible for human resources, work health safety and wellbeing, education and communication services. Jas was formerly the Manager, Organisational Development at the University of Adelaide. Carlos joined ReturnToWorkSA in 2009. He has more than 15 years’ experience in leading multidisciplinary teams and operations within the financial services industry. At ReturnToWorkSA, Carlos is responsible for claims management services and performance. 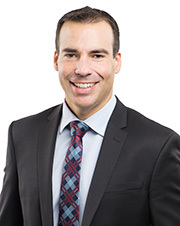 Prior to joining ReturnToWorkSA, Carlos worked on management and consulting roles with Deloitte, Santander Bank and KPMG.